Smetana Trio Releases New Disc | Smetana Trio | Kirshbaum Associates Inc. 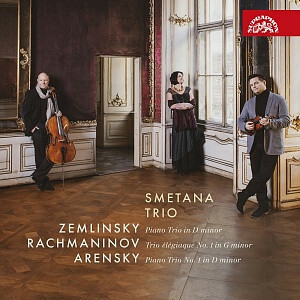 The Smetana Trio have released a new album of late-19th century piano trios by Zemlinsky, Rachmaninov, and Arensky. The disc is the first to feature violinist Radim Kresta who joined pianist Jitka Cechová and cellist Jan Pálenícek in 2018.